Gebr. 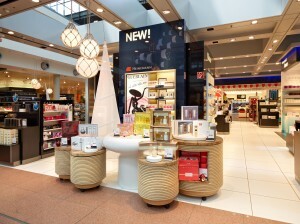 Heinemann is one of the top players on the international travel retail market and the leader on the European market. It is the only family-run business among the global players of the travel retail industry. As a distributor, Gebr. Heinemann is supplying more than a 1,000 customers in 100-plus countries. In the retail sector, Gebr. Heinemann operates more than 300 Heinemann Duty Free and Travel Value shops, fashion label boutiques under license and concept shops at 78 airports in 28 countries along with shops at border crossings and aboard cruise liners. The family-run business has developed a branding concept designed to make its duty free and travel value shops truly unmistakable. The Heinemann Duty Free brand is now present at numerous airports worldwide, with its biggest Duty Free Shop at an airport in Sydney. On 115.000 square metres the retail operation now serves more than 40 million customers annually. Gebr. Heinemann has maintained its Headquarters in what is now the HafenCity district of Hamburg/Germany since 1879. The company is managed by cousins Claus and Gunnar Heinemann, representing the fourth generation of the family. Gebr. Heinemann has 6,000 employees around the world. In 2015 the family-run business generated a controlled group turnover of 3.6 billion euros.